Made with wood. Made c. 1870s. 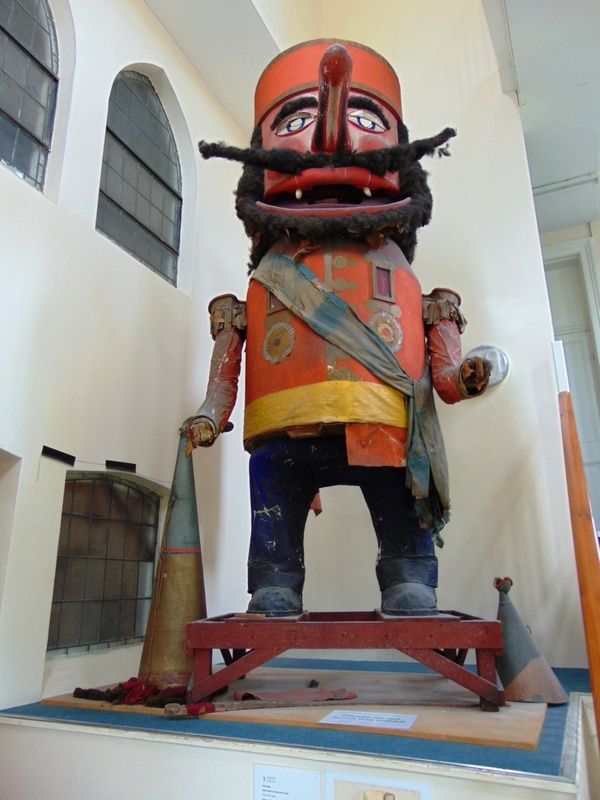 The Giant is a fantastic carnival figure nearly fifteen feet high. Pullen made him to amuse the children, and he was taken out each fete day until the Second World War. 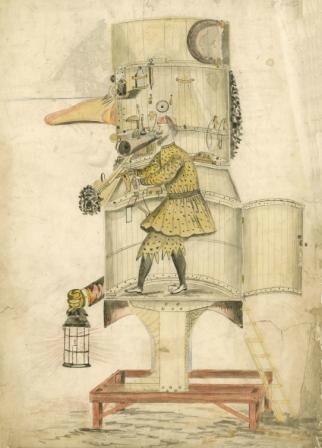 He has a hollow body, a small person can stand inside and operate levers which cause his eyes to open, his tongue to protrude, his mouth to open, his ears to waggle and his arms to move up and down. His head revolves, and he used to make a roaring noise! Pullen originally saw a small model of a Prussian soldier at an exhibition, which inspired him to create his giant.